Saturday my friend Laura and I loaded up the Pittie van with totes of supplies and the Juli-bean and headed down to Carmel to attend the Parade-a-Bulls. 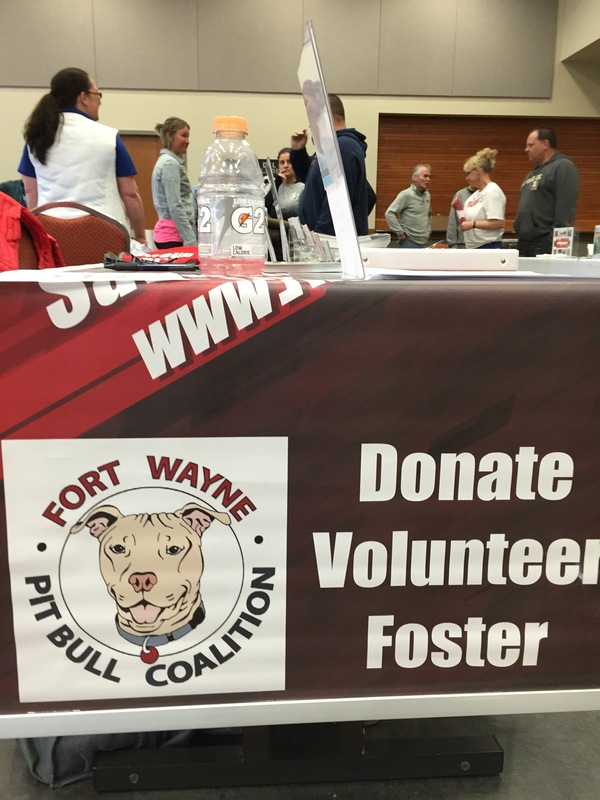 We had decided to attend as representatives of The Fort Wayne Pit Bull Coalition while hoping to solicit vendors for our own event in September. We also had the opportunity to meet up with our little alumni, Sookie and most of her sweet family. 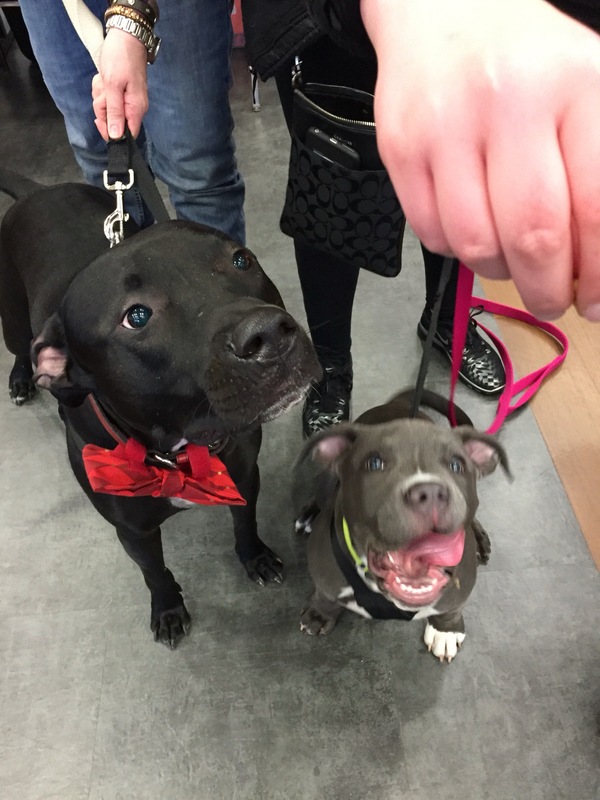 I love getting updates and seeing our pups in happy homes. 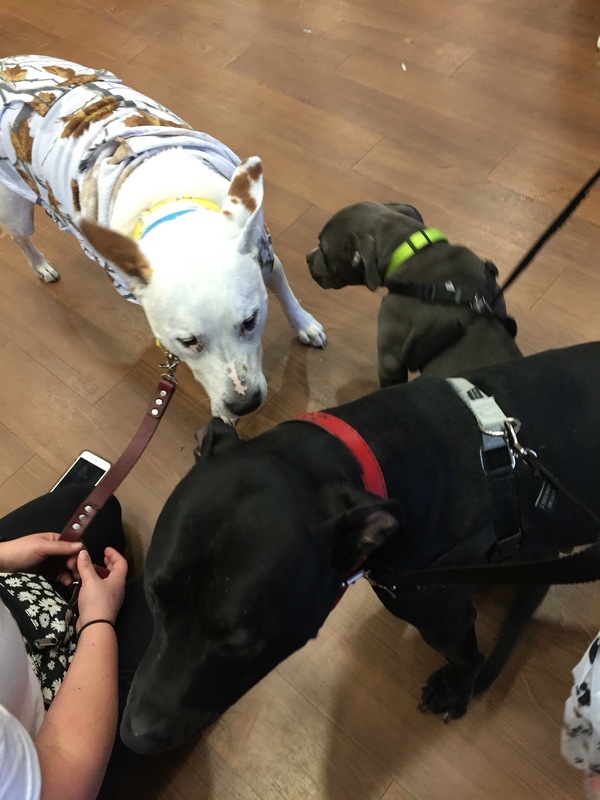 While networking we also had the opportunity to meet up with some other “virtual” friends like some of the team from the shelter that Marley came from as well as Facebook friend, Wilber Pitt Bull. The downside is that Julius isn’t the best traveller and vomited twice on the way there and on the way back we encountered torrential winds as well as sideways flowing snow.